The Reluctant Segway Tour – Where Did Mary Go? So Segways, huh? Is there a more comical mode of transporation? How much do you chuckle when you see a mall security guard cruising down corridors on one. Or a group of people taking a city tour on Segways, with their helmets and fanny packs securely fastened to their bodies. What is wrong with walking? Or riding a bicycle? Well, I decided long ago you will never catch ME on a Segway. This plan of mine was foolproof until my mom decided to plan a surprise outing for me before Andrew and I flew back to England. No big deal. The name of the game is choose adventure, after all. As long as it didn’t involve snakes, bungee jumping, or walking across a terrifyingly tall bridge, I’m cool with a surprise adventure. I saw a local Groupon deal for zip lining, and assumed it was that. Or horseback riding, because my mom loves doing that. Pssht, you can’t surprise me, I thought. I decided for sure it had to be zip lining. It was not zip lining. It was the very thing I never wanted to do. As the car navigated downtown Winston-Salem and then into a parking lot, I glanced at my surroundings and noticed the words Gliding Tours on the window. Immediately, I shuddered, knowing that meant a Segway tour. I turned to Andrew, seated next to me in the back seat, and gave him quite the disapproving look. He was in on this little secret, and I’ve more than once made him aware of how silly I think Segways are. He only laughed at me in response. I pouted for a few solid minutes, and then sucked it up enough to meet our tour guide, Joey. I stepped onto my Segway, and he complemented my fabulous balance. Well played, Joey. Flattery always lightens the mood. I got the hang of it quickly, and was soon doing circles around Andrew standing next to his Segway in the parking lot. My mom, Larry, Andrew, and I set out on our two-hour guided tour with Joey. He took us through old Salem and around much of downtown Winson-Salem, many areas of which I had not yet been. My mood quickly went from pouty to sheepish enjoyment. I realized how much ground you can cover in a short time on a Segway tour. Plus, without a doubt, what made this tour most pleasing was the abundance of information Joey provided us with. We learned about new apartments, restaurants, and businesses being constructed. He made numerous recommendations about which cafes and restaurants to hit up. We learned that the RJ Reynolds Building completed in 1929 was actually the design inspiration for the famous Empire State Building in Manhattan. Who would have thought? 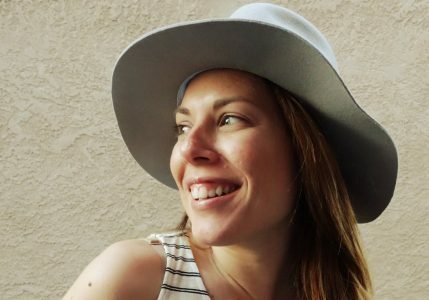 Each of us peered through the locked entry doors to the vacant building, and immediately could see the ornate decorative similarities between the two buildings. For my mom and Larry being relatively new to the city, and for Andrew and I on an extended visit, Joey’s narration was so perfectly informative. To this day, Andrew and I are still interviewing cities and potential places to live, and Joey’s detailed information about Winston-Salem was exactly the data we are both desperate to learn about each place we visit. Winston-Salem is rapidly expanding and being rejuvenated. Old Hanes clothing and Reynolds Tobacco factory buildings are being converted into loft apartments. New Wake Forest collegiate & Baptist hospital research buildings are going up downtown. It seems like now is the time to settle here and buy cheap, before the boom this city is surely to face. Hearing all this reaffirmed my mom’s decision to move here after living her entire life in New York State. I can only hope all Segway guides are as friendly, easy-going, and as informative as Joey. He clearly loves leading guests on tours. Another thing we liked was each of us had an earbud & small radio hooked up to Joey’s microphone for the entire tour. This allows you to hear him whether you are directly behind him or the last one in the pack. The only constructive suggestion I have is that they may want to consider reducing the tour from 2 hours to 90 minutes, tops. The four of us agreed the last twenty to thirty minutes made our tour a bit too long. Plus our particular tour began at 5pm and we were all starving and ready to grab dinner by 6:30, satisfied by everything we’d seen to that point. I clearly misjudged how fun it can be to do a city tour via Segway. And I hate to be wrong! They are very easy to use, at any age. Although I still think they look ridiculous, the Segway tour was positively an enjoyable way to cruise around and get to know a new city. Thanks to Joey and Revolution Gliding Tours for a fun evening. You can check out their website here and facebook page here. And thanks to my mom for not surprising me with snakes. 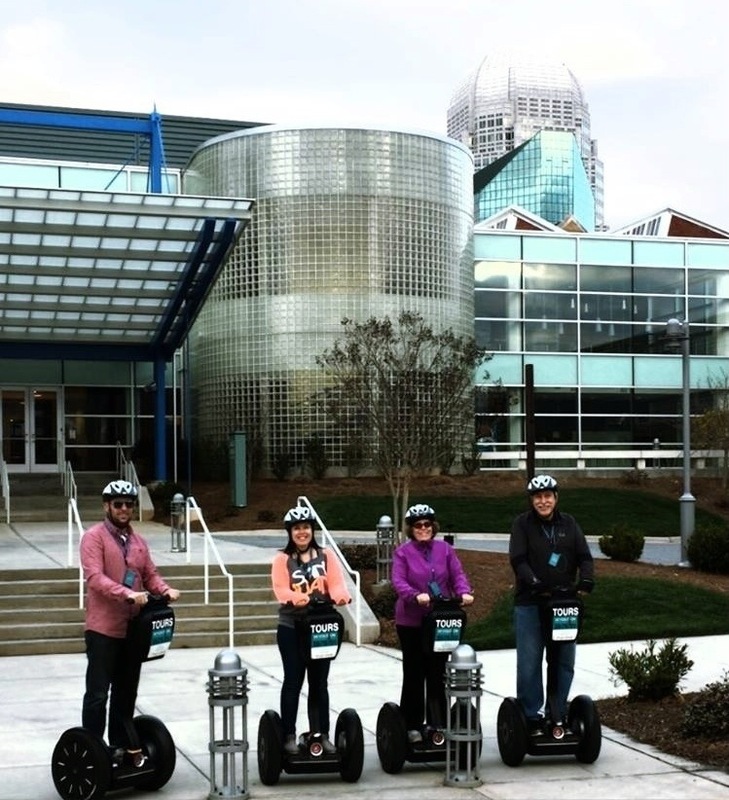 Have you ever done a Segway tour? It was so fun for Andrew and I to plan this tour, the price and location was perfect! we have to say, you had a big smile on your face once you had your lesson, and you quickly adapted to use of the Segway. We toured about 6 miles, and wait, just wait until its our Turn to surprize Andrew for his adventure! Burst out laughing when I saw the “dork factor” title. Looks like fun to me! 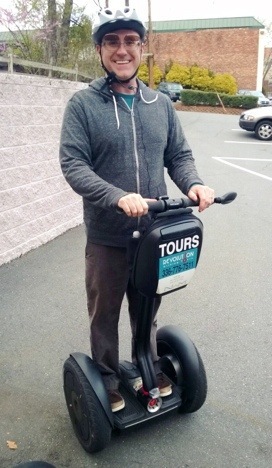 I could see you and Andrew doing one of these tours in all the cities you visit and becoming the “Segway Experts” All fun, all the time! !